Blackout is such a thought-provoking book that I was thrilled to be invited to join the blog tour. Whilst I might have been forgiven for expecting total carnage and an eat your partner type of disaster thriller, it's more of a slow-burner that makes you look at the world in a completely different light (if you excuse the unintended 'light' pun). 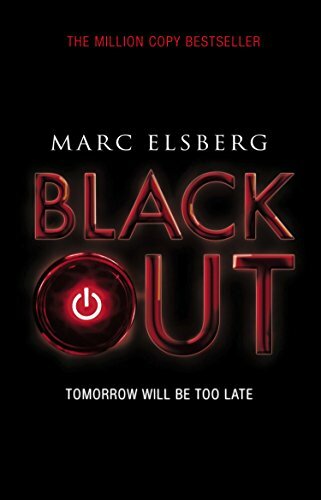 So without further ado, let's see what I thought of Blackout by Marc Elsberg. A cold night in Milan, Piero Manzano wants to get home. Then the traffic lights fail. Manzano is thrown from his Alfa as cars pile up. And not just on this street – every light in the city is dead. Across Europe, controllers watch in disbelief as electricity grids collapse. Plunged into darkness, people are freezing. Food and water supplies dry up. The death toll soars. Former hacker and activist Manzano becomes a prime suspect. But he is also the only man capable of finding the real attackers. Can he bring down a major terrorist network before it’s too late? I was really eager to read this book and I made the fatal mistake of having a sneaky read of the first page when it arrived meaning that I had to start it immediately. It literally starts with a bang as the traffic lights go out in Milan causing mass chaos on the roads as cars pile into each other. The main character, Piero Manzano, is one of those affected as he is driving home when the lights go out. As the plot thickens it would appear that somebody has attacked not just Milan, but Europe itself. There were so many things I didn't think of if there was no electricity and Blackout certainly gets you thinking about what you would do if there was no electricity. There would be no fuel at the petrol stations as the pumps use electricity to pump fuel to the forecourt from the underground tanks. Patients in ITU on life support would die without electricity to power life support machines and monitor vital signs. The main effect that really shocked me was the inability to cool down the nuclear reactors which leads to the main sweaty palm moments in Blackout. My brain was whirring throughout the story, but more about our reliance on electricity than the events in the book. After all, it's not that long ago when electricty wasn't available in every home and streets were still lit by gas lamps during World War II. I think the world would literally grind to a halt if our power supply was removed but I also think it would be quite liberating to go back to more simple manual times. We may then discover some of that elusive time, of which we never seem to have enough. Overall I wasn't as gripped and panicked as I thought I would be. I think that sometimes it was quite technical and a little bit over my head, but I admit that when people start talking in IT-speak my brain tends to go into meltdown. There were a few too many characters in the book to keep track of who was who and in hindsight I wish I'd written them down and created my own cast list. 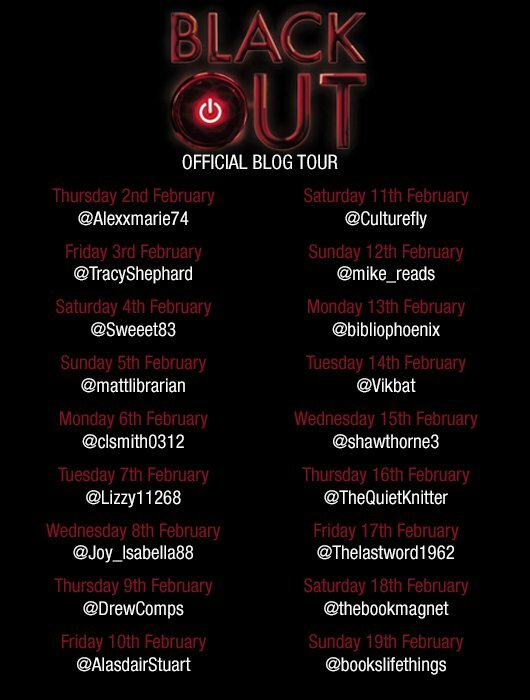 Blackout is the most thought-provoking book I have read in a long time and I have continued to think about the devastating effects long after turning the final page. I was just slightly disappointed that I didn't get the feeling of panic and fear coming through in the writing, but it could perhaps have been a little bit lost in the translation from German to English. It's well worth a read though, just to realise how lucky we are to have power at the flick of a switch.